Just visualize, your site is running perfectly, everything is going well and suddenly; suddenly your site has been hacked. This feels like a nightmare. Right? A rapid increase of web applications makes web-based hacking attacks more attractive. Website security is not only the challenge but one of the most important things that should be taking care of website owners. Joomla is one of the leading Content Management Systems for web content. Just like WordPress and other open source platforms, Joomla sites also have to deal with hacker’s attack. Not to worry! 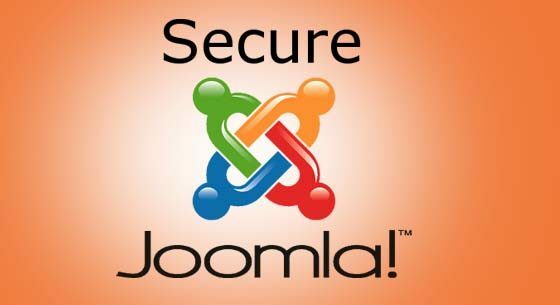 Joomla comes with amazing security methods that help to secure your site from hackers. Each day, attacks by hackers on Joomla websites increases and owners may have to spend the heap of money to fix the damage. JomDefender is one of the best extensions developed by Core PHP, which help you to secure your site from hackers attack. This plugin will give your site all of the lockdowns which it requires. The main purpose of this plugin is to remove all instances of the word Joomla! on your site. Add a second security layer before accessing the login form on the front-end of your website, allow/deny by IP address and find the best configuration for your website to optimize page load with our page execution time feature. Marco’s SQL injection plugins are developed to protect your site against SQL injection and LFI (Local file inclusion). Some of the great features of this extension are: It blocks the SQL injection/LFI attempts by filtering requests in GET, POST, and REQUEST and alert by an email when the alert is generated. Protect the site from unknown 3rd party extension vulnerability and it will automatically block an IP that attacking your site. It’s a perfect solution for full those who want a full backup of their site. It creates a full backup of the site in a single archive including database, files, and restoration script. It also provides different format like you can use standard ZIP archive or JPA archives or JPS archives. It runs an AJAX powered backup which means it prevents server timeouts for the restore process. Eye site- the name already describes itself that it always keeps an eye on your website. It immediately alerts you if any files were added, deleted or changed in your directory structure. It scans each and every directory you have and stores the details of every file. It provides the plugin which enables you to scan your site automatically at specific time intervals. History screen is always available which shows the history of all past scans and actions. Admin Tools is one of the commonly used security component used to secure the Joomla site. It has many features which will help you expand the performance of your site and make your life administering the site easier. Admin Tools includes two types of editions namely the free of cost Core edition and the subscription-only Professional edition. Security features can be found in the Professional edition and the Core edition has basic utilitarian features. The key features of Admin tools are Emergency off-line switch, Change your file permissions without using SSH or FTP and Protects your site against a vast majority of popular attacks.